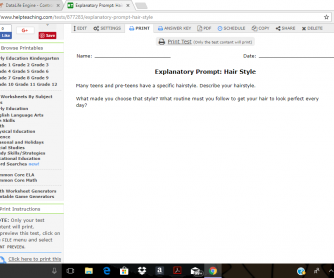 Motivate students to write and to improve their explanatory writing skills with this creative writing prompt that asks them to write about their hair style. Why did they choose it? Is it unique? How would they change it? 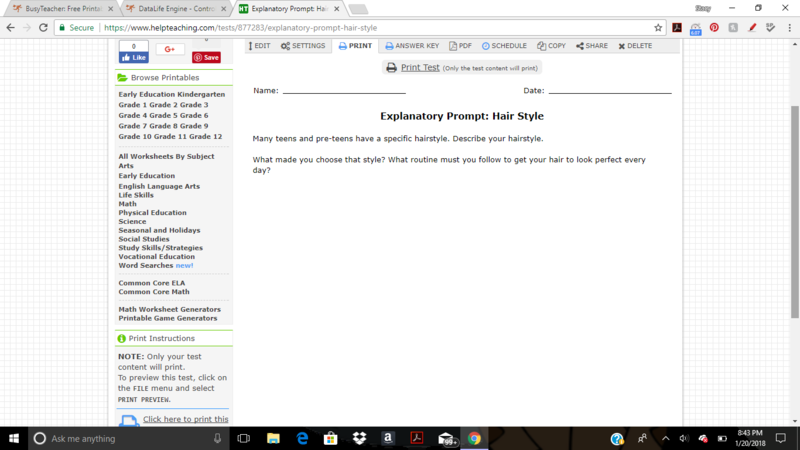 Find more creative writing prompts at HelpTeaching.com.